With the Jade Rabbit rover currently reconning the lunar surface, China’s space industry is adamant that more moon missions will follow. 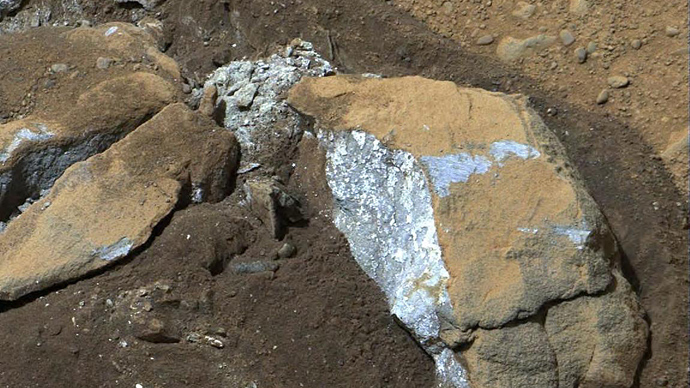 The next planned big step is set for 2017, when a probe will collect and send back to samples of the lunar soil. Beijing is making no secret of the development of the nation’s space program as the Chang'e-3 mission made a landing somewhere within the Sinus Iridum crater on the Moon on Saturday. The photos taken by the landing module and the Moon rover that descended from it to the lunar dust have been distributed throughout the world as a proof of yet another Chinese success in space exploration. 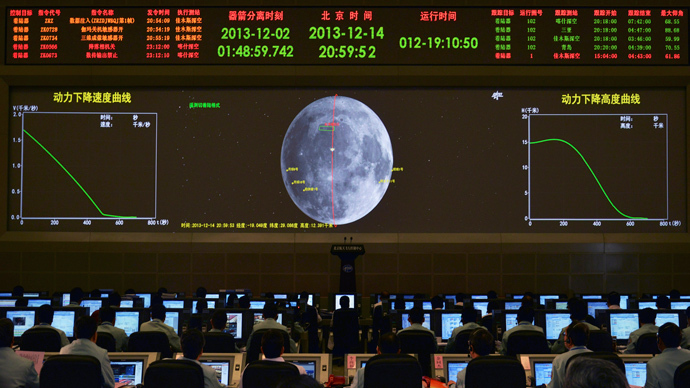 President Xi Jinping and Premier Li Keqiang attended the gathering at the Beijing Aerospace Control Center where China’s Moon program chief commander, Ma Xingrui, declared the Chang'e-3 mission a success, Xinhua reported. "Exploration of outer space is a relentless pursuit of mankind," China's space agency said in a statement, stressing that the successful mission reflects "the new glory of China to scale the peaks in world science and technology." 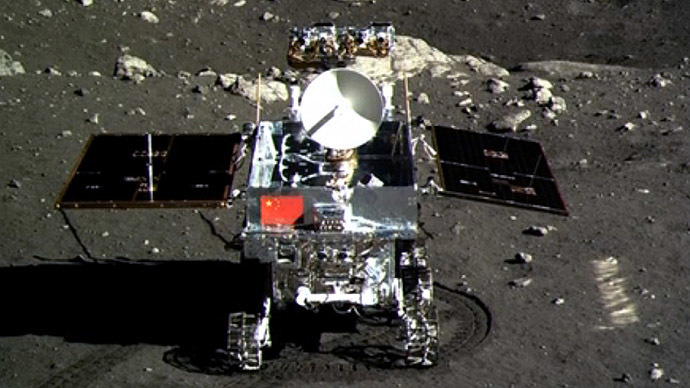 The delivery of the Yutu (Jade Rabbit) rover, which can travel up to 200 meters an hour, to the Moon’s surface has opened the next stage of China’s Moon program, a spokesman for China’s State Administration of Science, Technology and Industry for National Defense said, sharing plans for future moon explorations. 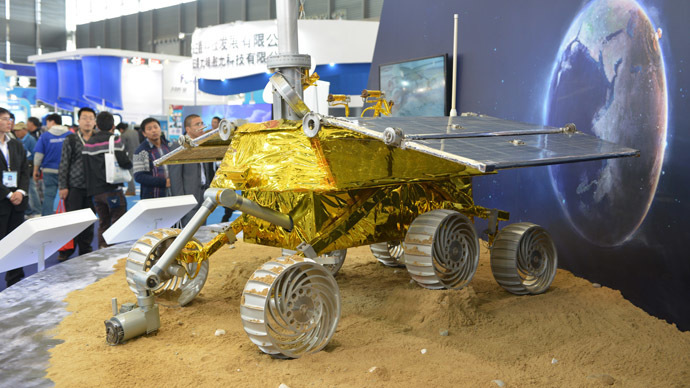 The Yutu rover is designed to withstand temperatures ranging from +120 Celsius to -180 C, said Wu Zhijian. “After the success of the Chang'e-3's mission, the lunar exploration program will enter the third phase, with the main goal being to achieve unmanned automatic collection of samples and returning them (back to the Earth),” spokesman Wu Zhijian announced at a news conference, as quoted by Reuters. "Phase three will be a difficult task," Wu said. China’s Moon program is following in the footsteps of the USSR and the US, gradually complicating the task with every new mission. 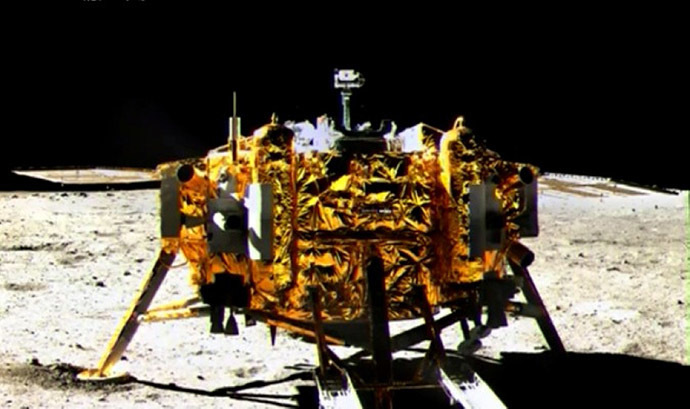 The Chang'e-1 mission (Chang'e is the name of a Moon goddess in Chinese mythology) in 2007 put a satellite into the Moon’s orbit and worked there for 16 months, making a high resolution 3D mapping of the lunar surface. The Chang'e-2 mission in 2010 took photos of areas of potential interest for the next landing mission. The last time man sent anything to the Moon was back in 1976, so Chang'e-3 has become the first new man-made object on the Moon’s surface in 37 years. The spokesman said that the next missions will involve delivery of soil samples from the Moon’s surface. The Chang'e-4 mission will be an intermediate one, set to test technological ideas for the following Chang'e-5 and Chang'e-6 sample collecting missions, the first one to land on the moon around 2017, with the major task of collecting soil samples. 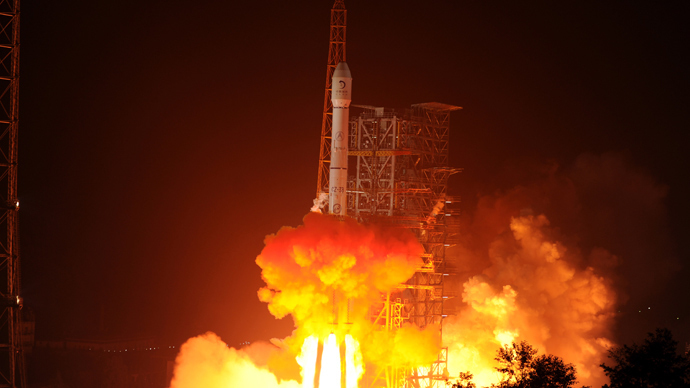 This consistency of China’s space program makes it clear that Beijing is not intending to fall behind the world powers in space exploration. 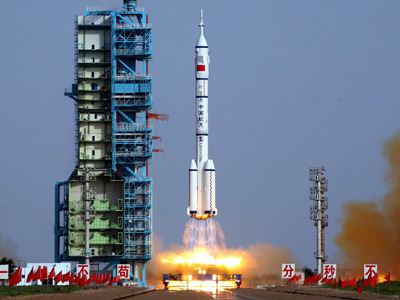 The Chinese president earlier set a priority on the development of the country’s space program, calling for the establishment of China as a space power. “Our country's lunar exploration program is a technology program for the peaceful uses of outer space, as well as an open program,” insisted spokesman Wu Zhijian, refraining from revealing if and when China is planning to send astronauts to the Moon. China’s moon ambitions beyond Chang'e-5 and Chang'e-6 sample collecting missions are yet to be announced, he said. Just as the world awaited more photos from the Chinese Chang'e-3 lunar mission, the first negative comments about the mission began to emerge. First of all, bloggers from American Unmannedspaceflight.com forum claimed that the picture sent to Earth from Chang'e-3 landing module clearly indicates that Chinese probe landed some 400 kilometers away from the planned landing site, in the Mare Imbrium (Latin for “Sea of Rains”) instead of Sinus Iridum (Latin for “Bay of Rainbows”) crater. 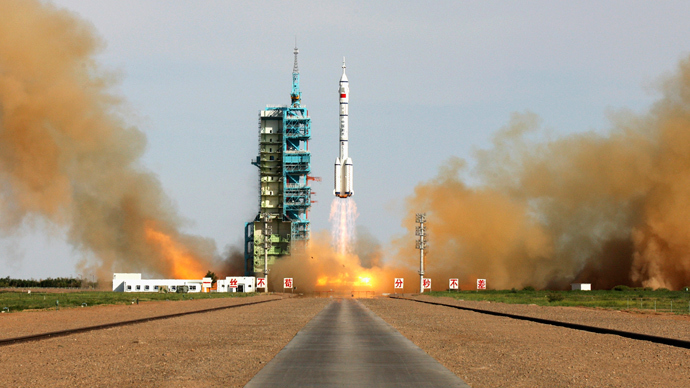 So far there have been no official comments from Chinese space industry experts on the issue. The publication of the first photos from the landing module and the rover caused an avalanche of comments. Most web surfers were clearly dissatisfied with the quality of the pictures, particularly when compared with the extremely detailed photos taken by the US rover Curiosity on Mars. Also, some have pointed out that the color of the lunar dust in Chinese photos is rather brownish and does not resemble the greyish colors of the Moon’s terrain taken by the US astronauts decades ago. No more photos from Chang'e-3 apart from the initial ones have been published since, which also may open speculation about the outcome of the mission.